Ask any teacher about the cost of the items in their classroom and they could go on and on and on. I believe teaching has got to be one of the only jobs where you spend your OWN money. There are ways to keep costs down, if you get creative. Here are some ideas to get you going. 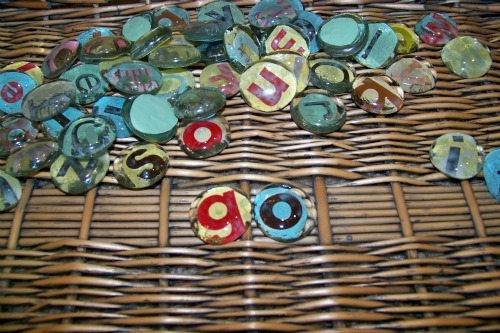 These are perfect for a pre-school or kindergarten classroom, or mommies at home with little ones. *Note - these are not original ideas and I am not claiming them as my own. 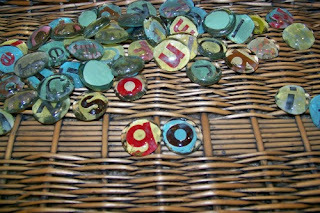 They are just ideas I've pulled from around the internet to make for my class! I made this using bottle caps from leftover bottles (gatorade, water, milk, etc.) 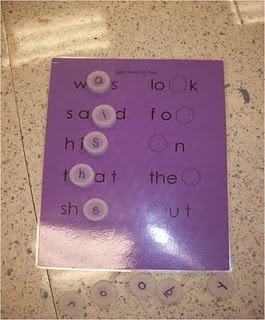 then stuck a letter sticker (target dollar spot) on each one. 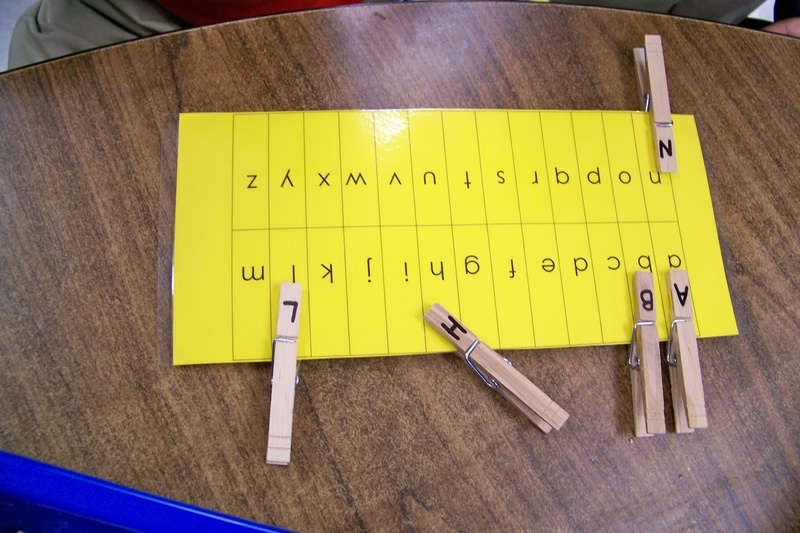 Have your child (or students) put the letters in order to make a caterpillar. You could even make a cute face for the beginning. 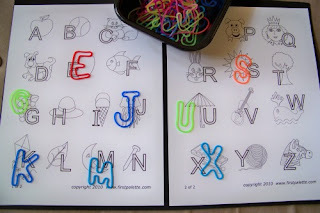 This was made using alphabet silly bands from target dollar spot and a printable from www.firstpalette.com. Simply have the kids match the silly band to the correct letter. The dollar tree sells clear craft rocks in two sizes. 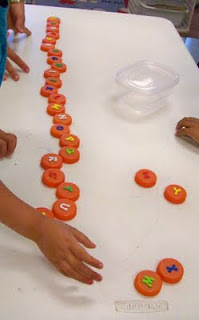 For this activity you will need a pack of big ones and small ones. Write one Upper case letter on each large rock and one lowercase letter on each small rock and let your child match them up! Permanent marker works best, but remember to write it backwards, so it's right side up when you flip the rock over! 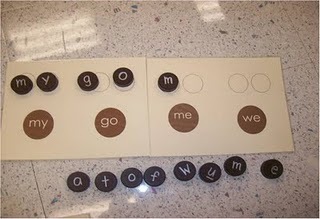 You could also use stickers, or computer printed letters glued on the back. Got more of those bottle caps? 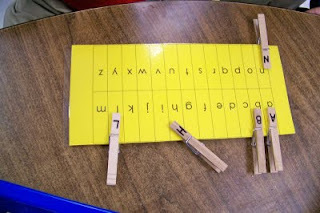 Stick letters on them and have your child build high frequency words, or fill in missing letters on words they know. These are just some of the ideas I've made to use in my classroom this year! 1 comment on "Back to School: ABCs"